Thanks to Cai Yixiong, I had a unique opportunity to speak to the Nature Photographic Society, Singapore this morning. I was rather nervous because I don't consider myself a photographer, but I had a great time sharing about our shores and highlighting some ways that our photos can make a difference for conservation in Singapore. Since I had this unique opportunity to speak with serious photographers, for the first time, I included in my usual talk a portion on how I have used my photos for marine conservation in Singapore. For a start I post as many photos as possible for free download on wildsingapore flickr. There are about 30,000 photos here. These get about 2,000 hits per day, for a staggering total of 2.7 million hits since I started in 2006. I'm surprised there are so many people that bother to look at photos of marine blobs and seaweeds! I also post photos on my wild fact sheets of common marine life in Singapore. And use them in this wild shores of singapore blog especially in my field trip reports. I also try to share my photos with other efforts to provide high quality photos for conservation. I am thrilled that ARKive has requested several of my photos. ARKive aims to create the ultimate multimedia guide to the world's endangered species. Believing that wildlife films and photos are vital weapons in the battle to save the world's endangered biodiversity from the brink of extinction. I've also submitted about 2,000 photos to the Encyclopedia of Life (EOL), which is very easy to do from flickr: I've done an earlier post on how to do this. For many EOL pages, my photos are the only contribution for the species! They really need more help with photos! I was surprised to learn that some of the photos I took were useful to scientists. I am not a scientist myself and often don't really know what I am photographing. So it's delightful when scientists such as Teo Siyang found useful my photos of the beasties that visit a flowering Nipah palm for his awesome paper on this fascinating plant. I also learnt more about what I had photographed. Similarly when Dr Ng Heok Hee used my photos of live fishes to illustrate his much needed work on fishes in Singapore. Scientists often work with dead specimens, so it's useful for them to have photos of living specimens. I was overwhelmed when Prof Daphne Fautin and Dr Tan Swee Hee included me as an author in their paper on sea anemones of Singapore, simply for providing photos and some field information. So there's a lot that photographers can contribute even if you're not a real scientist. Just be your natural curious self, observe and record your sightings. I've recently started an effort with Jeffrey Low of NParks to do a transact survey of various shores. Taking photos and GPS coordinates; here's one of the trips where this was done. Hopefully, this data can be processed by sophisticated software, to tell us something about how our shores are doing. My photos have also been used in park signages, for example at Chek Jawa: on the boardwalk, in the Visitor Centre and on the other electronic displays there. My photo was used in some Punggol signage. And I was surprised to see many of my photos on signages at Punggol Waterway. They had downloaded the low resolution photos from my website. What a pity. If they had contacted me, I would have been glad to provide them with high resolution photos for a better result. I'm always delighted when my photos are used in magazines and articles! Such as a feature on our southern islands in Singapore, a magazine of the Singapore International Foundation. And when my blog post of a night trip to Pasir Ris with surprise snakey creature was featured in the the Weekender. One of the most stunning uses of my photos was for the Marine Exhibition at the Biodiversity Festival in 2012 put together by the very talented Sabrina Tang. The delightful and colourful Exhibition roamed the heartland shopping centers for a year after that, so that hopefully lots of people and kids learnt more about Singapore's marine life! I'm also honoured and delighted to help with the many many people who have put in hard work to create educational materials or other products to raise awareness for conservation. 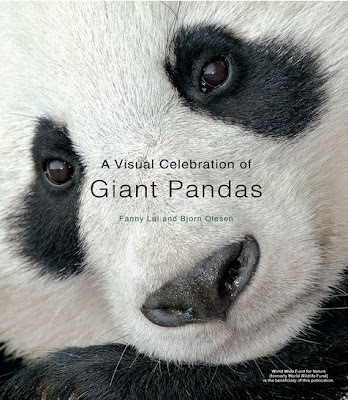 From this delightful children's Chinese booklet, to postcards to encourage people to interact gently with wildlife, to an awesome calendar put together by Kenneth Kee, sponsored by his company and given out to their clients. I've been approached to contribute to many books and oblige in as many as I can. Some that I am most proud to be associated with include nature guidebooks such as the one on Seahorses by world authority Rudie Kuiter, and the Nudibranchs Encyclopedia by Neville Coleman, who sadly recently passed away, he is sorely missed. As well as the spectacular Semakau Landfill books written by Marcus Ng with Alicia Tan. And most recently, was deeply touched to be invited to contribute to the Wild Singapore coffee table book. My big project now is to write a new guidebook to all our seashores. This is to replace the Chek Jawa Guidebook which has run out of print some years ago. Today I shared an example of a page in the new guidebook, which as usual, will be unorthodox and attempts to cram as many photos as possible in one page! I hope to squeeze 1,000 species in 300 pages! I've also updated my 'filler' slideshow that showcases some of the marine life, landscapes and volunteers of Singapore shores. It's now on SlideShare for free download. After my talk, what a treat, to listen to Bjorn Olesen, co-author of "A Visual Celebration of Giant Pandas". He shared amazing photos of these iconic animals. His photos are not like the usual panda photos we see. Taken over years working with them, he showed us a glimpse of how these marvelous animals grow up and live, and some of the challenges that they face. As well as the other animals and plants that are found in Panda habitats. I learnt about 'Panda biscuits' special food created for those that live in captivity, the dedication of Panda mothers, and antics of male Pandas and lots more. I found this interview with Fanny Lai and Bjorn Olesen which has lots more info about them and their book. I didn't really get into Pandas until Bjorn's talk. Thank you! I'm glad the little Southern Shores pamphlets were well received by the members. Who were very kind and patient with my talk, laughing at my lame jokes. They also asked good questions! Thank you once again to Cai Yixiong, President of the NPSS and all members for this opportunity to speak and for their warm welcome. I'm scheduled to give two more school talks in the weeks ahead before I get sucked into the maelstorm of exhausting predawn field trips, Southern Expedition and other major events that won't let up until August. I can't give any talks until later in the year. I do apologise to those who have requested for talks during this period. Thanks Murphy for your kind encouragement!